The red carpet is the place to watch and see which trends hot off the runway make it or break it. In an effort of trial and error, celebs either choose to make daring or – sometimes worse – too-safe red carpet choices that go down in the fashion books. The Scottsdale native elegant and fresh on the red carpet. The model stunned in this whimsical Marchesa gown at this year’s Met Gala. SJP’s custom ODLR gown at the Met gala is certainly a dress that will go down in fashion history. The supermodel rocked the fringe trend to the max in a blue floor-length Sean Kelly gown that complemented her blonde locks. Monae stayed true to her uniform of black-and-white by playing it up with a gorgeous, eye-catching cape. Adams rocked this cobalt-blue gown at the SAG Awards that featured a daring cut-outs. 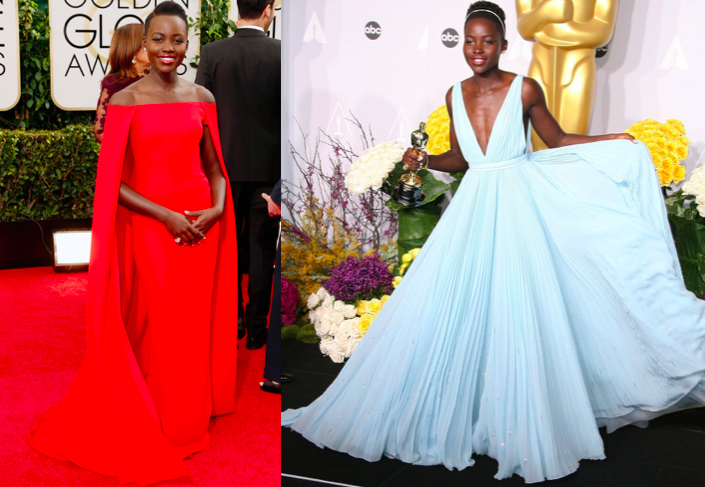 Lupita stunned in poignant fashion choices again and again throughout Awards season. This Prabal Gurung gown is a showstopper, to say the very least. What could have been an elegant ensemble turned into an all-white disaster that made Paula Patton look dated and washed out. It wasn’t the best year for Julia Roberts’ style with two fashion offenses. While the up-and-coming model can certainly rock almost anything, this Fausto Puglisi dress makes me wonder how she could sit down, or just move in general, comfortably. Though the attempt is made, nothing can escape the fishnet wrapped around Hathaway. While the colorful pattern looks great, the awkward-cut shorts do not, and, unfortunately, ruin the whole outfit. Where Emma Stone’s aforementioned mustard-yellow dress went right, Katie Holmes’s here does wrong in a frumpy silhouette that’s messy and seemingly unkempt. 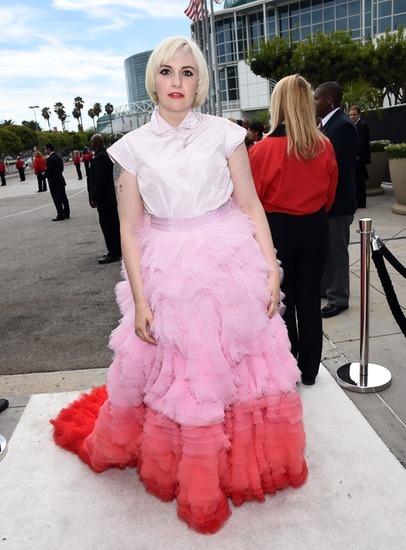 Because no one should look like a walking cupcake. Who do you think wore it best (or worst) in 2014?